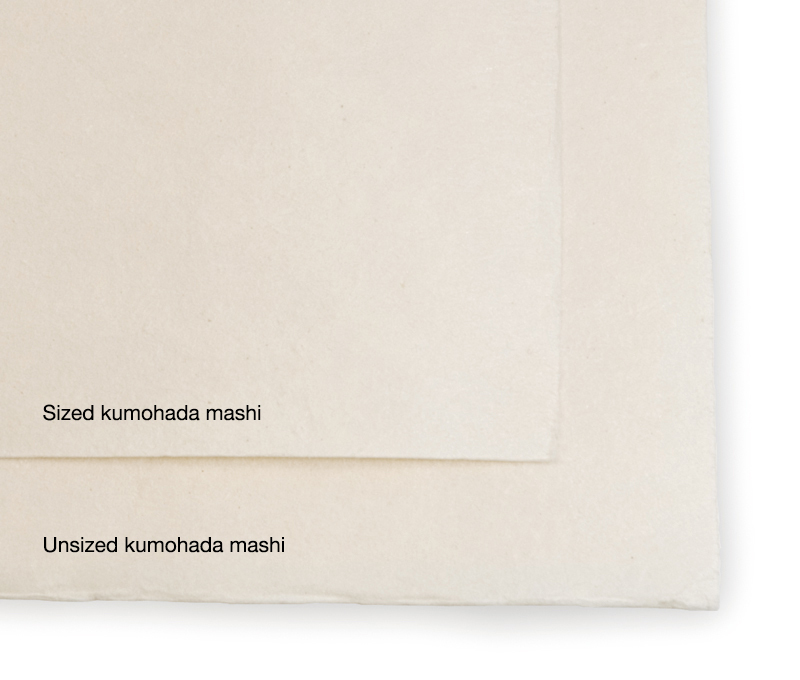 Kumohada mashi is a thick, strong washi paper made from hemp and mulberry. It is mainly used as a support medium for Japanese paintings. The name kumohada (literally, cloud surface) comes from the fact that the fibers of this paper are entwined so that its surface resembles the appearance of a cloud. 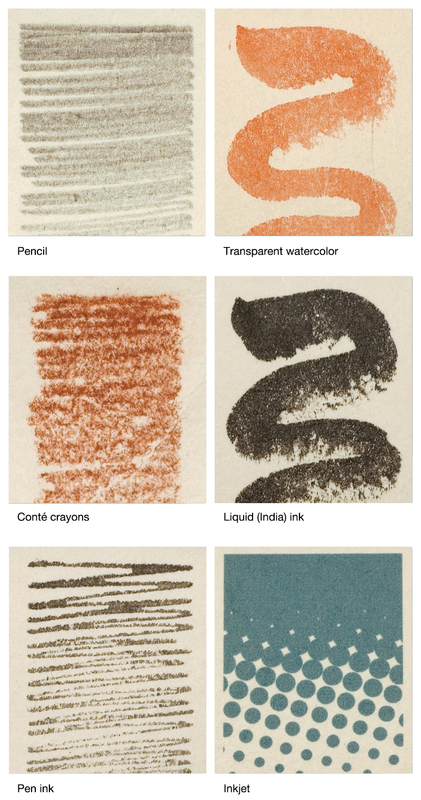 The surface of kumohada mashi is basically flat and smooth and the paper is also quite thick and pliable, allowing a brush to travel well over it and produce good color development with paint. The side with the smooth surface is the front and the side with a rougher surface is the back. The color of the paper is white with a tinge of cream and it comes in various sizes such as sanroku (medium size), deckle-edged sanroku, shiroku, goshichi, rokuhachi and shichiku sizes. Other types of hemp paper include Tosa mashi, thin mashi and white mashi. Originally, mashi was a washi made mainly of hemp or ramie and was produced in large quantities during the Nara period. However, it went out of use when mulberry became the main ingredient for washi paper from the Heian period onward. This is thought to be because the texture of the paper was coarse as hemp fibers are very strong and difficult to handle. This made mashi ill-suited for transcription purposes. Mashi was later revived in 1926 by Iwano Heizaburo I of Echizen, a Japanese paper maker in the town of Imadate in Fukui Prefecture. Unlike previous types, the new mashi was made by mixing mulberry and a small amount of ganpi to hemp to produce paper that was tough but had a fine texture. This was how the kumohada mashi of today came into existence, facilitating expressions such as overlaying a thick coat of paint in several layers, which had not been done in the past. It became the paper of choice by the likes of Yokoyama Taikan and more recently, Hirayama Ikuo, who explored new possibilities of expression in Japanese paintings. When used for producing a large piece of Japanese painting, the mashi should be reinforced with backing. Commercially available mashi paper may be sized (dousa) or unsized (nama) so this needs to be checked at the time of purchase. Kumohada mashi can be purchased at washi shops and art supply stores that handle Japanese painting supplies.